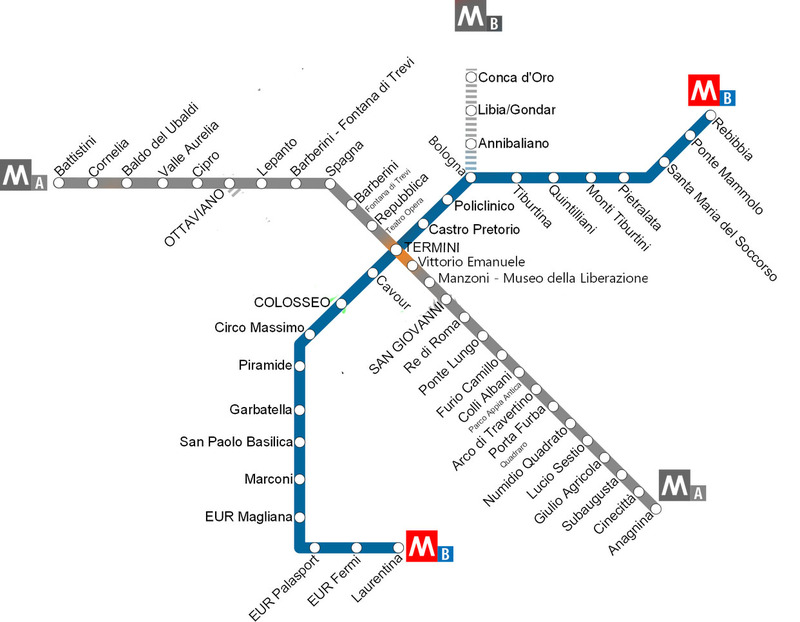 Subway Rome, line B: information about routes and trains. Trains of the line B run every 8 minutes; trains departing from terminus Laurentina have two different destinations, Rebibbia (line B) or Conca D’Oro (line B1). The route is the same till stop BOLOGNA, than it changes.